Memorial service for the Pearl Harbor survivor will be held April 9. A memorial service will be held Wednesday for Stanley W. Trachta, a survivor of the Pearl Harbor attack, co-founder of La Cholla Air Park Inc. and Tucson attorney. Mr. Trachta, 85, died March 16. He commanded the Marine detachment on the USS West Virginia until the ship was sunk at Pearl Harbor on Dec. 7, 1941. Mr. Trachta was not aboard the ship when it was attacked, said Margaret Trachta, his wife of 58 years. The Marine Corps had lost so many aviators that it asked him whether he would become one. He went on to serve as a fighter pilot in World War II and the Korean War. During his 22 years in the Marines, he flew almost every kind of plane made, family members said. 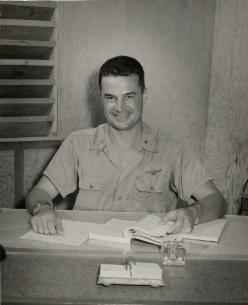 He retired with the rank of colonel in 1958, and he and Margaret made Tucson their home. 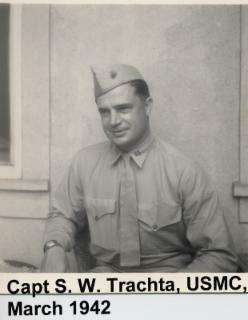 Before enlisting in the military, Mr. Trachta had earned a bachelor’s degree and a law degree from the University of Montana. When he moved to Tucson in 1958, he passed the Arizona bar exam and helped start the firm of Hall, Jones, Hannah & Trachta. Over the next 35 years, the firm grew from five partners to 40. He retired at age 79. His love for airplanes did not end with his military retirement. He helped found La Cholla Air Park Inc., where his family still lives. He was one of the founders of the Pima Air Museum. He also flew with the Civil Air Patrol. Margaret Trachta said while he was always contributing to the community, he was never too busy for his children and two grandchildren. ”There isn’t anything that he wouldn’t do for his family,” she said. Mr. Trachta was always volunteering to help out some cause or another, said Pam Hale Trachta, his daughter-in-law. ”I think he gained a lot of respect for all of that,” she said. He was a founding member of Skyline Country Club, a life member of the YMCA board and a member of the Kiwanis Club and the Episcopal Church of the Apostles. ”He’s really part of the history of Tucson,” she said. For all his accomplishments, Mr. Trachta came from humble beginnings. 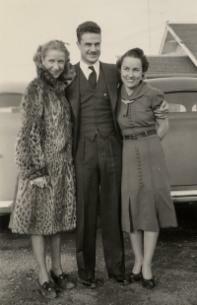 He was born Aug. 16, 1911, in a wagon on the way to Meeker, Colo. Mr. Trachta and Margaret were married Jan. 6, 1939, in Pennsylvania after he came back from his first stint in the Marines in China, where he spent three years in Peking. He is survived by his wife; a daughter, Mary Glenn Winscott; a son, Stanley Jon; a daughter-in-law, Pam Hale Trachta; a brother, Joseph of Carlsbad, N.M.; a sister, Anne House of Brownsville, Texas; and two grandchildren, Mary Michelle Winscott and Michael Winscott of Portland, Ore. He was preceded in death by his brother Eldred and a son-in-law, James Winscott. A memorial service will be held for Mr. Trachta at 10 a.m. Wednesday at La Cholla Air Park Inc., 1777 W. Cessna Way. Memorial donations may be made to the University Heart Center, P.O. Box 245046, Tucson, Ariz. 85724; the Episcopal Church of the Apostles, 9800 N. Oracle Road., Tucson, Ariz. 85737; or to the Challenger Program at Pima Air and Space Museum.